Monday, many criticized and reprimanded a young French tourist after a photo went viral of the young man sitting on one of the ancient and delicate columns of the Basilica. People took to the Instagram comments scolding the individual of the post. Since then, the owner of the post did not take down the picture, rather changed the caption to raise awareness of the mistake he made and the importance to artifacts everywhere. 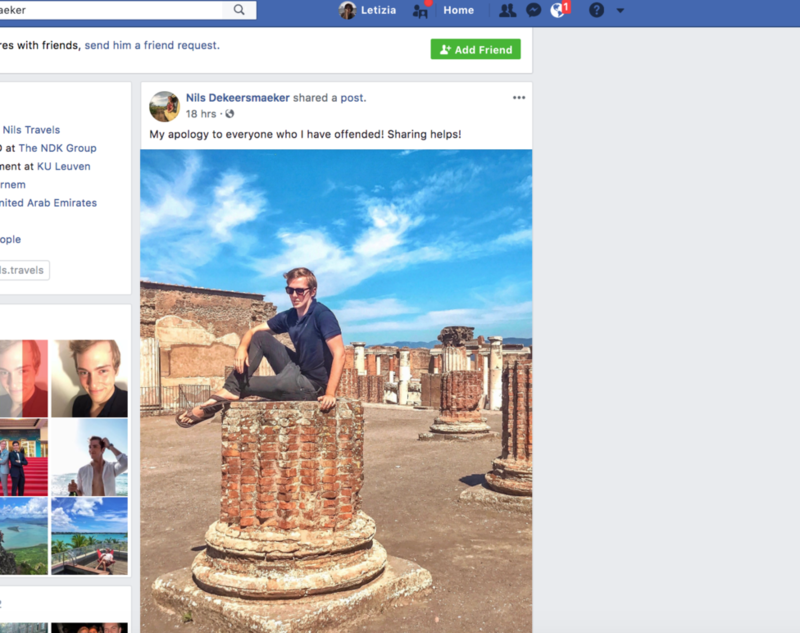 Recognizing this, the owner of the instagram post now has inserted a link into his instagram and donated money to help keep and preserve the beauty of Pompeii and all its history. But, this incident has raised many questions about tourists in the Pompeii area and how these artifacts are being respected. As research and investigations of the ancient city of Pompeii are increasing, so are the amount of tourists entering the once ancient civilization. A similar incident left many people in the area as well as historians around the world up in arms just prior before the one presented. A group of girls found themselves taking selfies and standing on an ancient rug with 12-inch heels, which created the conversation of how art and artifacts are being treated, considering this was an art preservation violation. Even on May 11, a 52-year-old French native was caught and arrested after an attempted theft of 13 pieces of terracotta from the excavation site. These two examples as well as the most recent French tourist sitting on the column of the Basilica have people talking and wanting greater respect for a culture deeply rooted in its history. Want to know how you can help Pompeii? Click here to find out more information on donating!